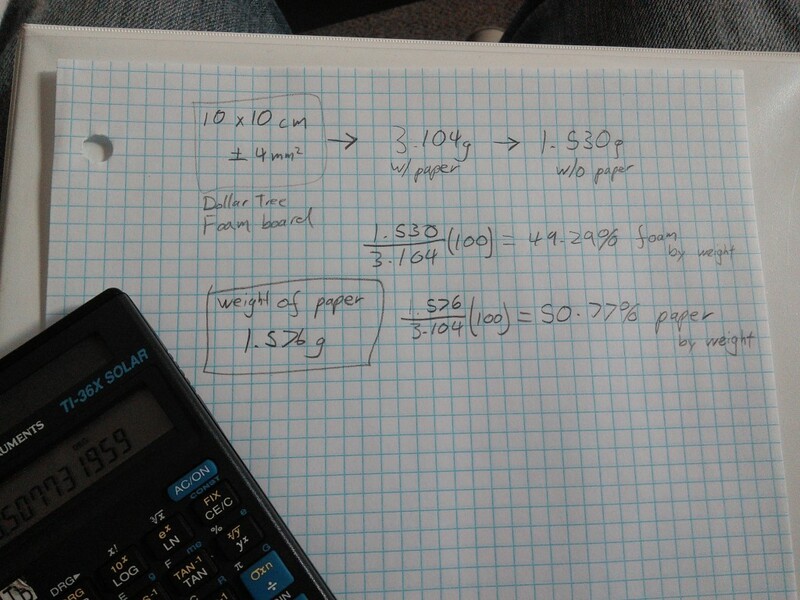 In designing a small, light-weight indoor RC plane, I realized that I really needed to know how much weight was added to foam board by the paper. If the added weight didn’t justify the strength and rigidity of the foam, I’d rip it off like most other hobbyists do. So, I conducted a small experiment determine with the greatest accuracy possible, the percent weight of paper in Dollar Tree foam board. 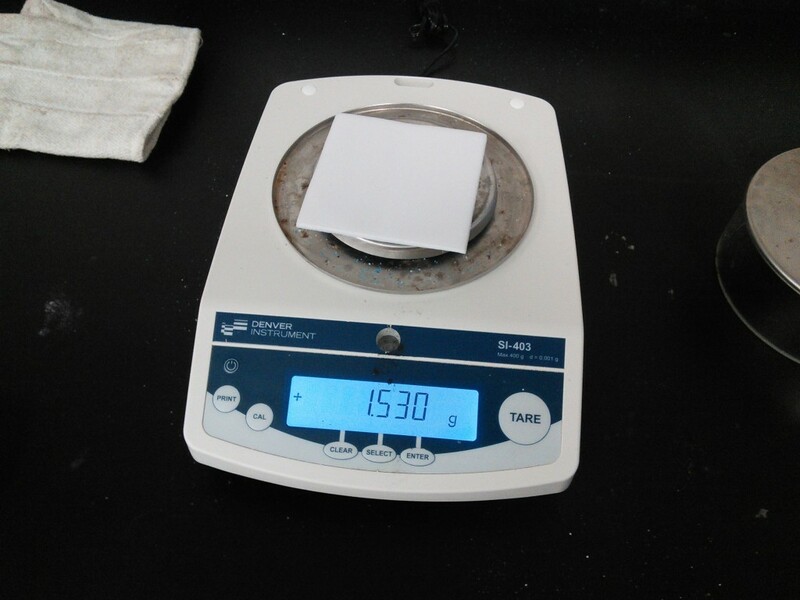 A small piece of foam board was cut to 10cm x 10cm (± 4 mm2) and weighed on a high-accuracy balance. 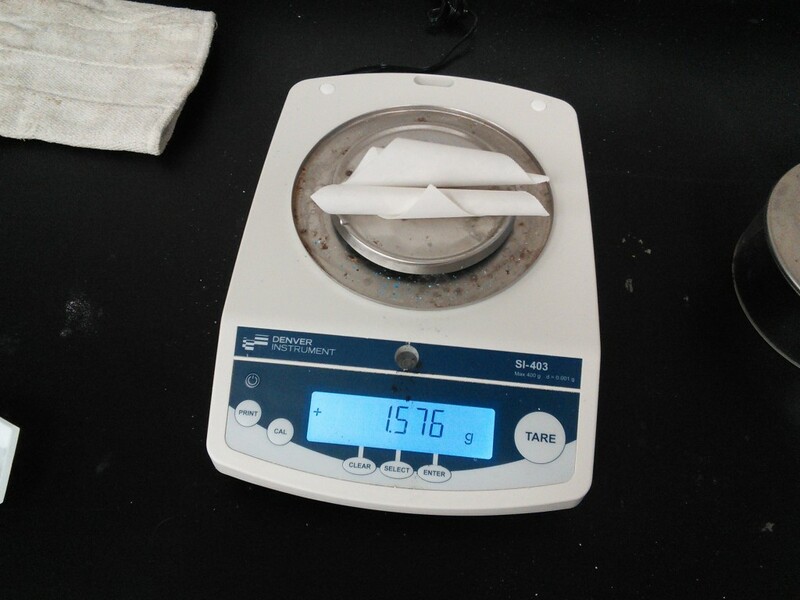 The paper was then stripped from the foam board and the foam was weighed again. The astounding weight difference can be readily observed. 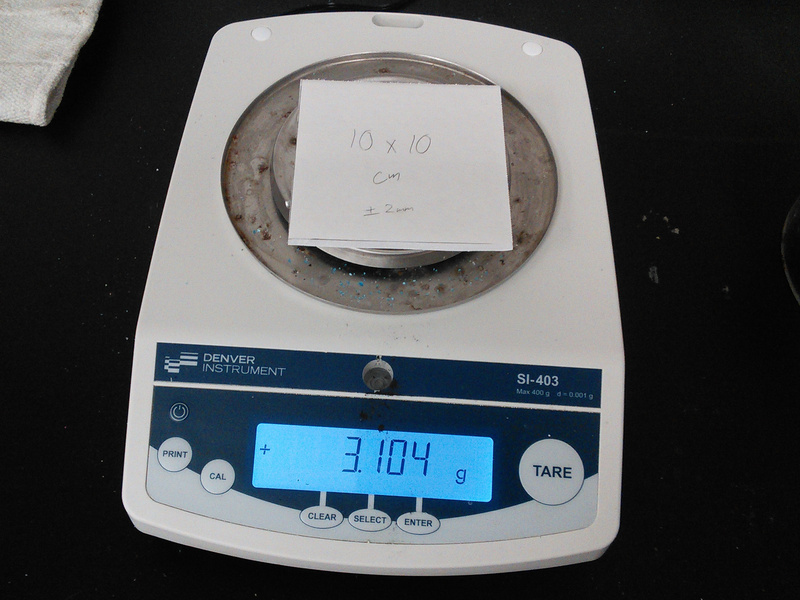 The paper alone was weighed in order to confirm accuracy. 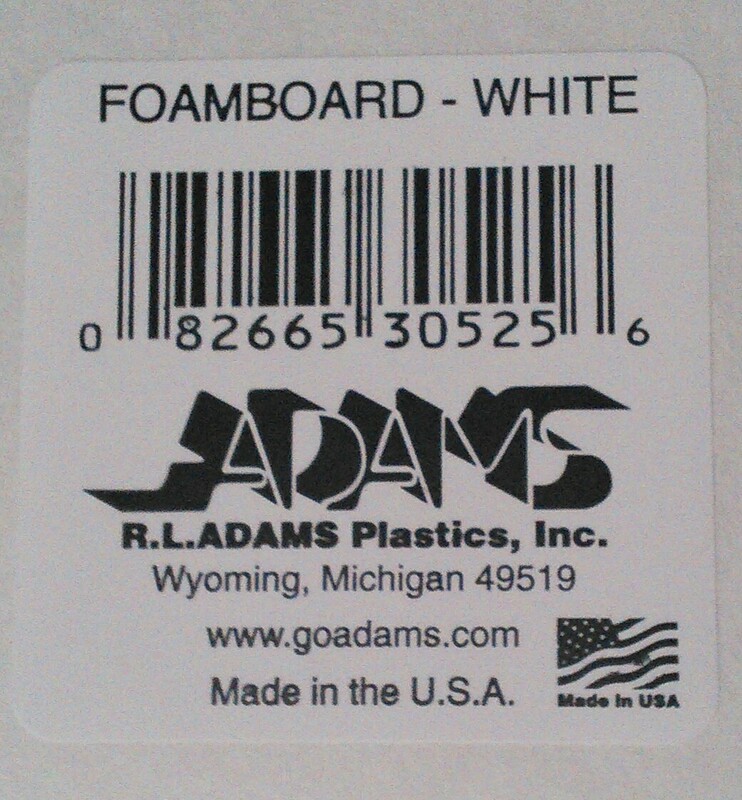 Just as a reference, here’s the UPC from the foam board. 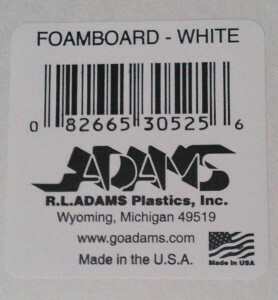 (1.530/3.104)(100) = 49.29% foam by weight. 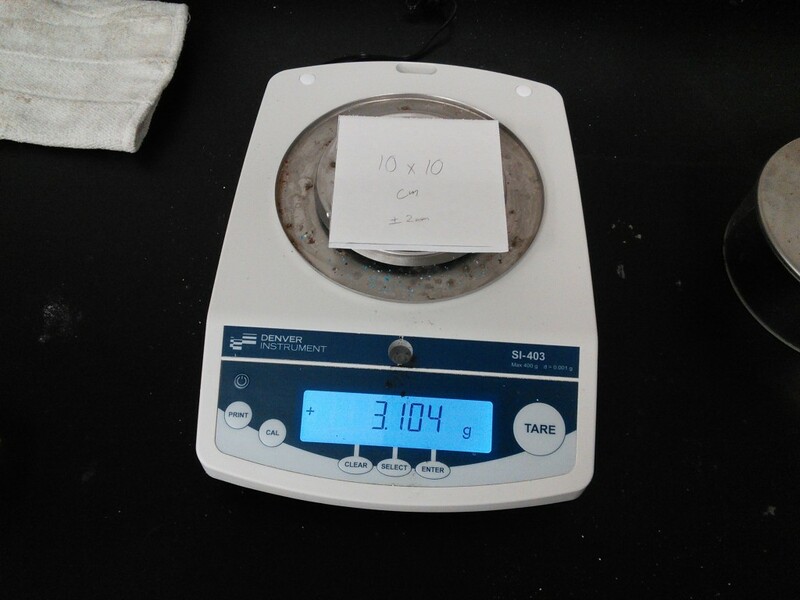 (1.576/3.104)(100) = 50.77% paper by weight. The greater than 100% sum can probably be attributed either to performing the addition after applying significant digits, or to the fact that there was no shielding around the balance to prevent air currents from affecting the reading. However, an error of ±.06% is hardly significant for this discussion. So there you have it folks, Dollar Tree foam board is about half paper. *Since this post was written, I have come to understand that more than half of the strength of DTFB is in the paper as well. Therefore stripping the paper is seldom a worthwhile trade-off.